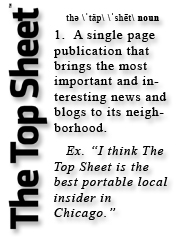 The Printed Blog was initially launched in Chicago and San Francisco in January 2009 with a simple idea in mind- to cultivate a distinctive take on citizen journalism, highlighting the views of multiple communities through the eyes of the people actually living them. Fostered around this idea, the magazine took form as a hyper-local, hand-distributed, daily dispatch specifically tailored to your neighborhood- a definitive resource of content created by the self-designated eyes and ears of your area. Essentially, we created a portable RSS feed that guaranteed that you would be in the know by the end of your commute. However, we recognized that with the continuing growth of the internet and those who participate in its extremely influential nature, we should consider ourselves global citizens that took the international stage into consideration for content. We began reworking our model with a new ambition- to both expose the best content the web has to offer, and to make sure that the value of this content is captured in a format that commands the attention it deserves, creating a new era in print. In August 2010, we re-launched The Printed Blog as a stunning monthly chronicle that focuses on creating a collectible, curated publication exclusively made up of content generated on the web, with the intention of giving bloggers credibility and exposure that they can use to establish themselves. We brought on well-known celebrity photographer Tyler Shields as our Co-founder and Photo Editor, and established an ever-growing list of celebrity Guest Editors to help in the publishing process. Thousands of bloggers now submit their work to The Printed Blog, and, with the help of our notable guest editors, we showcase their talent by publishing their work next to some of the most prominent names in fashion, photography, and media. In fact, the Printed Blog has now gone global, with licensed editions being created and distributed to the masses in Lisbon, Portugal, and St. Petersburg, Russia, making our presence known worldwide and thus inviting an even larger pool of writers and photographers to submit their work for publishing. Most importantly, we made a commitment to reserve a percentage of our budget in order to help our contributing bloggers and photographers — a gesture that we believe creates a standard while simultaneously supporting a community that is often undervalued. Currently, we are offering a $50 dollar “thank you” per contributor, but because payment is percentage-based, it promises to increase with the number of subscribers and investors to hundreds of dollars, or possibly even more. In hopes of continuing our tradition of breaking down the barriers surrounding print publishing, we are now in the process of creating a third generation of The Printed Blog, starting with the launch of our new website in August 2012. We are striving to create even more open interactivity between the print and digital world by maintaining an online community that allows anyone to register and submit work to be reviewed by both The Printed Blog staff and those who choose to follow it. Users now have a hand in our editing process by voting for posts that they like- with enough votes, a submission will be published in the magazine. With this community, we are hoping to create an open playing field, where everyone is encouraged to submit, regardless of their previous online presence. And that’s just the beginning- so stick around, take a moment to join our community, and become part of the future of print! Copyright © 2014 The Printed Blog Inc. All rights reserved.